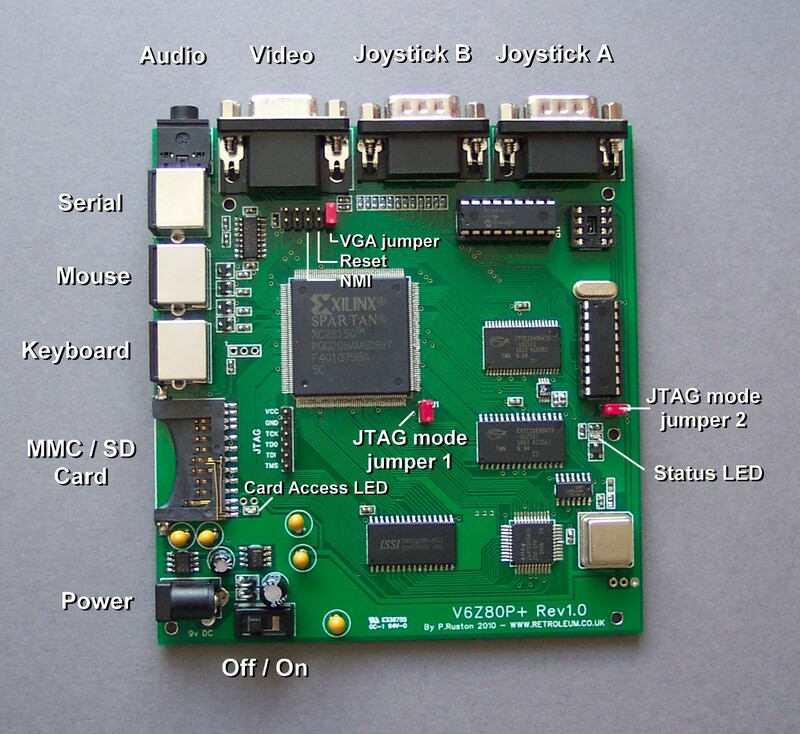 The V6Z80P system is based on a Spartan 2 FPGA (XC2S150) and 20MHz Z80 CPU. 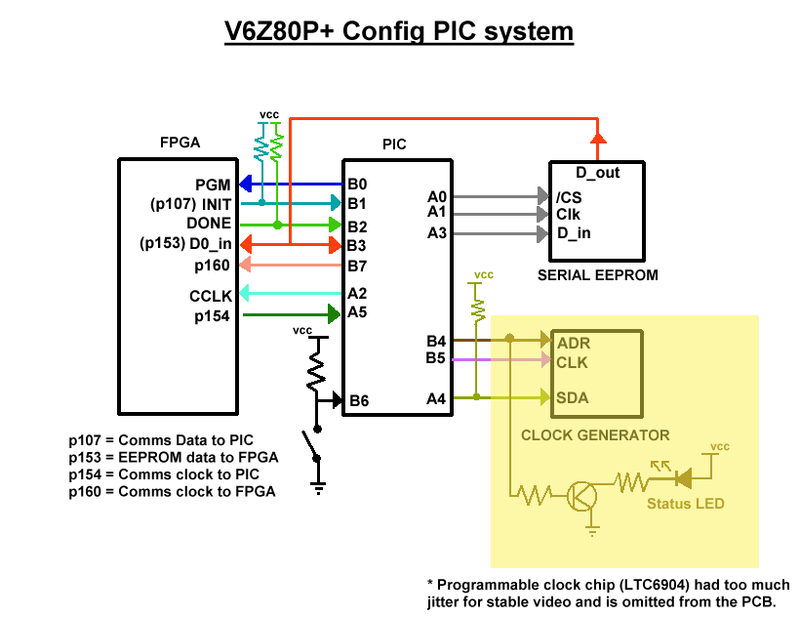 The master clock is a 16MHz (3.3v) TTL oscillator, the output of which is connected directly to the FPGA and to the Z80 CPU via a 74HCT08 AND gate. 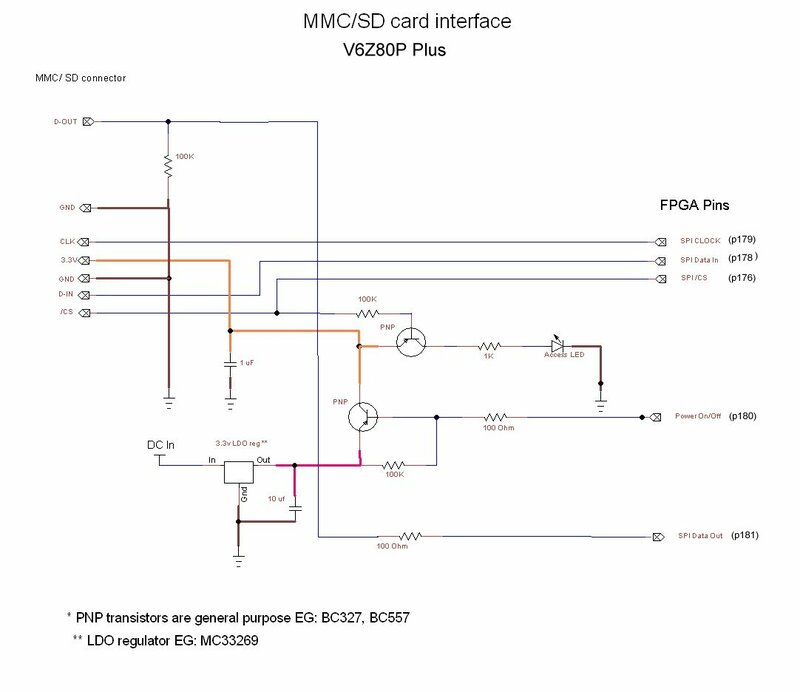 The other input of AND gate is connected to an FPGA pin, allowing the FPGA to enable the clock pulses to the Z80 if necessary (OSCA simply drives the pin high). The Configuration PIC uses a 20MHz crystal and the joystick interface PIC uses its internal 4MHz clock. “Video memory” - 512KB 10ns 3.3 volts, direct connection. Chip always selected. “Sprite memory” - 128KB 10ns 3.3 volts, direct connection. Chip always selected. 12 FPGA ouputs drive 3 x 4 resitor DACs, this allows a palette of 4096 colours. 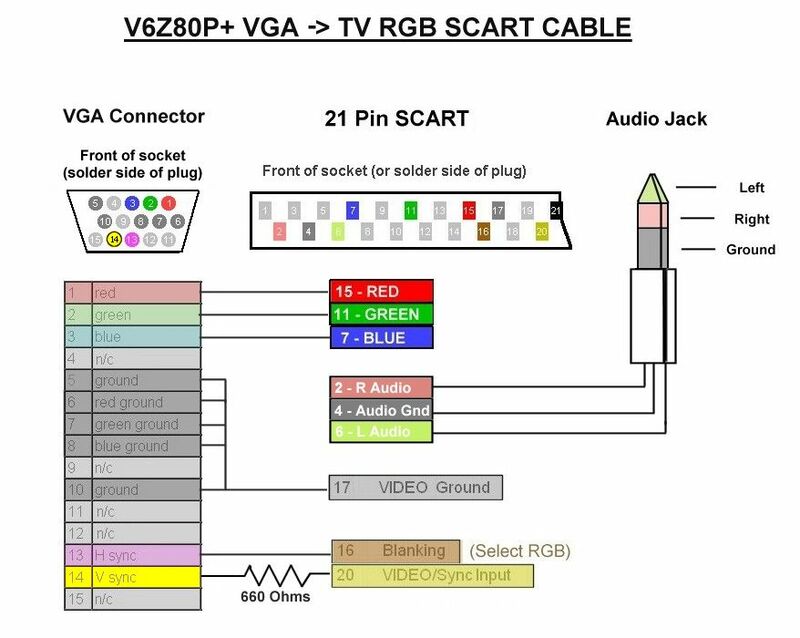 The RGB levels are <0.7v suitable for TV for VGA monitor. 2 additional FPGA outputs drive Horizontal and Vertical sync - these are both passed through 100 ohm resistors. 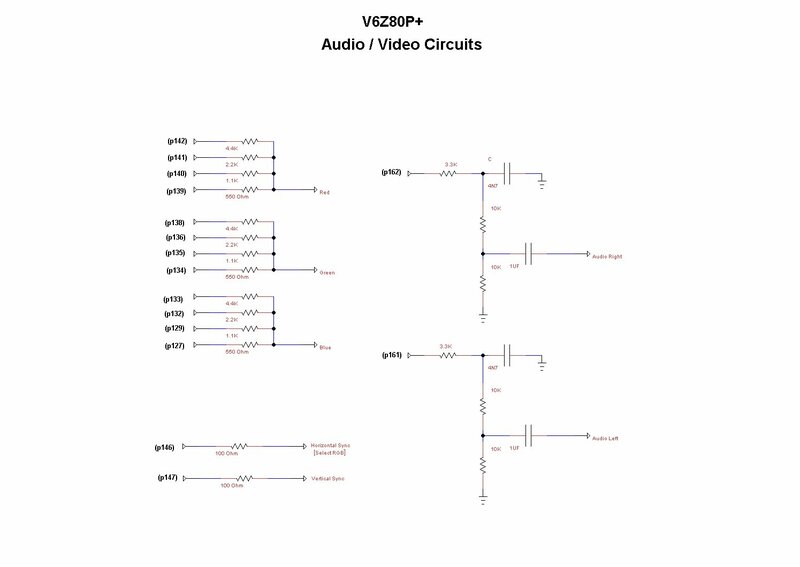 These outputs will directly drive a PC monitor, and can be used to drive a TV's RGB inputs with a simple adapter cable (All lines are connected direct the relevant SCART pins, with the exception of V_sync which is passed though two 330 Ohm resistors in series, adjusting the voltage to that required by composite sync. The horizontal sync is connected to the SCART “blanking” input - when the system is in TV mode, the line is driven permanently high which activates RGB mode in the TV). Keyboard and mouse. CLOCK and DATA directly connected to FPGA. 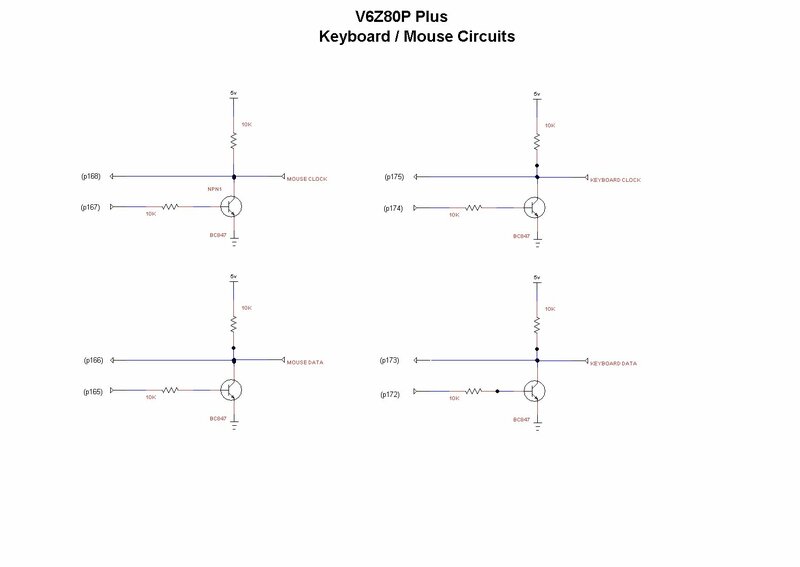 These lines can also be pulled down (for output) on the V6Z80P side by transistors connected to the FPGA. (8 FPGA pins used in total). 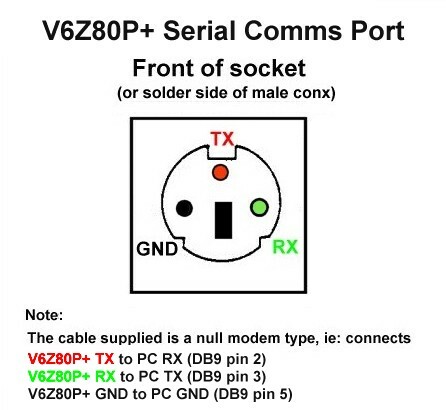 Two ATARI 2600 style connectors: 6 inputs each. Also compatible with the original Megadrive pads. Lines are pulled up by resistors on the PCB and pulled low by the switches in the joystick. 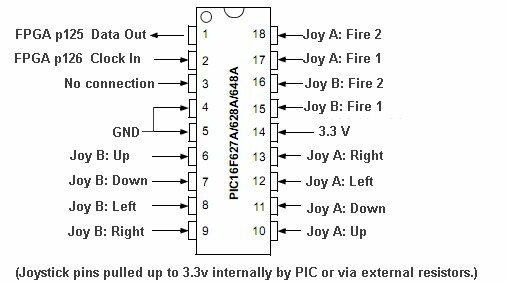 The 12 lines are connected to a PIC 16F62x microcontroller which acts as a parallel-to-serial converter. 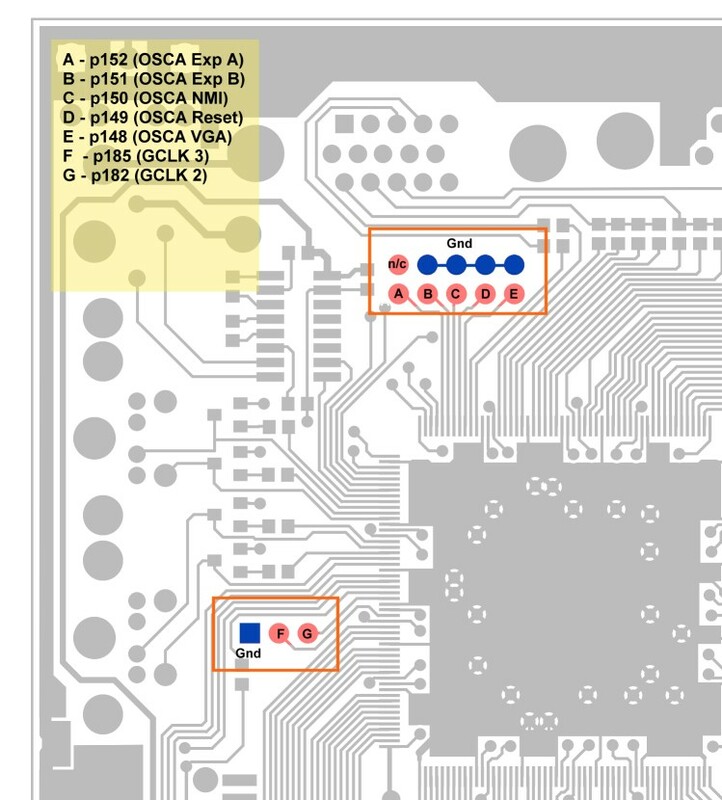 Two FPGA pins for Clock and Data are used to read the joystick data.